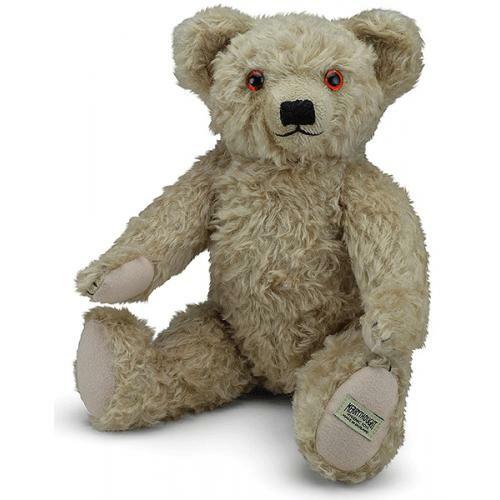 The Royal Mail Stamp Teddy Bear by Merrythought is a very collectable 1930 Replica Teddy Bear and wears the Merrythought trademark label on his foot. He feels soft and cuddly with a smile! Limited Edition of only 200pcs. 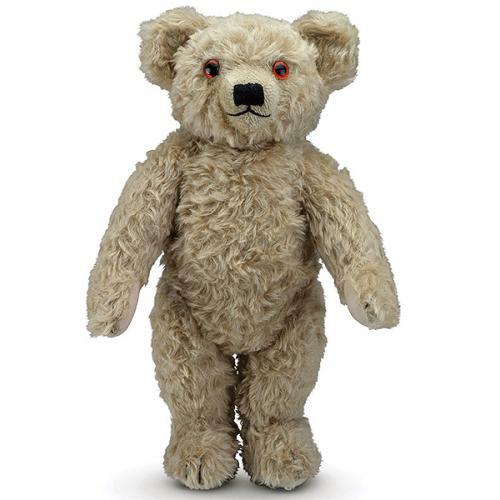 From August 2017 to July 2018, an original 1930s 'Merrythought Bear' proudly appeared upon an official Royal Mail 1st Class Stamp, as part of a special collection celebrating classic British toys. To commemorate this achievement, Merrythought has created an authentic replica of the iconic bear featured on the stamp - one of the oldest in our archives. 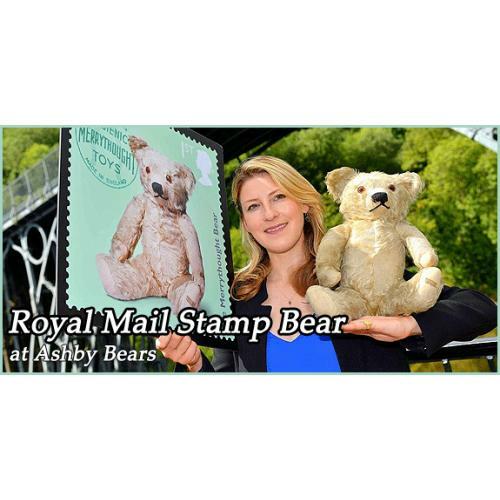 What's more, he is presented alongside a certificate incorporating the rare stamp, which is no longer available to purchase from the Royal Mail and is a real must-have for the Merrythought enthusiast. 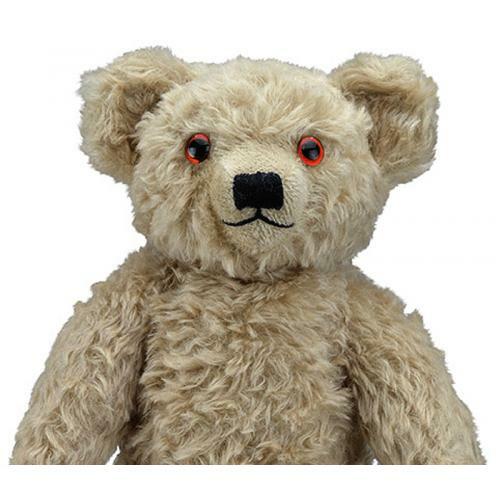 The bear features traditional glass eyes and a characterful, wise expression, whilst vintage-effect mohair plush gives the look and feel of a worldly bear who has been cherished for generations. He is beautifully presented in a Merrythought drum box, alongside an individually-numbered certificate featuring the real 1st Class stamp.